Argentina's president has blocked the extradition of a Denver fugitive who claims he was framed for murder because video he took of ground zero proves U.S. complicity in the 9/11 terrorist attacks. The government of Cristina Fernandez de Kirchner issued an executive order Sept. 16 overriding a December decision by the Argentina Supreme Court. 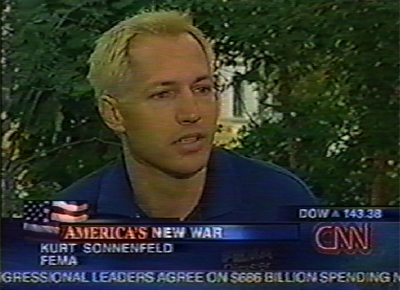 The court had approved the extradition of Kurt Frederick Sonnenfeld to the United States. The government's order cited human rights in its denial of the request to grant extradition. It also says that extradition could put Argentina in a position of violating an international principle of not forcing the return of asylum seekers to countries where they could be persecuted.